When small businesses become stable they should consider looking beyond their border to grow their business. Business growth is incredibly important and the lack of it can leave small businesses stagnant leading to failure. One way to grow a business is by taking it international and catering to customers across the world. It may seem daunting leaving the security of what you know, however, it can be a worthwhile challenge. There are multiple ways in which you can appeal to customers all over the world. 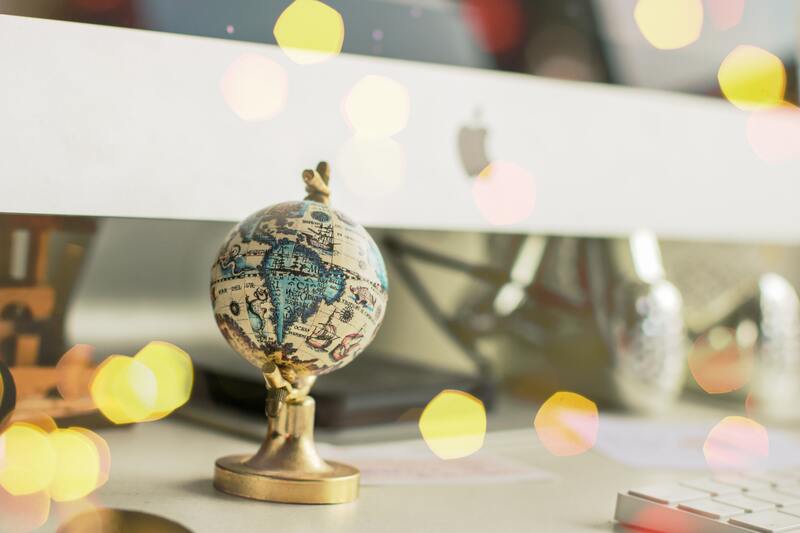 Here are the best ways to raise your business profile and start attracting international customers to your small business. Getting online is the best way to reach international customers. Having an online presence for any small business is crucial. However, it is even more so for those looking at attracting international customers. If your business is not completely online and you have a premise for your business, create a website and get yourself out there. For example, if you run a café in London and want to attract tourists, then having an online presence is essential, which does include social media. Being online makes your business easy to find, that is the selling point of creating an online presence. If somebody from abroad is looking for a business like yours online, they should be able to find you. If you are looking at reaching international customers you may want to cater to their needs. Offer them a way of paying in their currency. When you first reach outside of the UK you don’t need to have every single currency on there, start with just one destination. For example, you may want to make it easier for European and US customers by allowing them to pay in dollars and euros. You can contact your online payment system provider to get more information on this. Performing market research is key to making any business decisions. It needs to be carried out before making any changes to your business to appeal to international customers. It would be best to start by targeting one specific part of the world, rather than everywhere. For example, as a UK business, you might want to target European customers. This will make it easier to carry out the research. You can learn the habits of European customers and see how you can use that to help you attract them to your small business. It’s obvious that if you are appealing to international customers then you need to be able to ship products to them. It would even be a good idea if you could offer free shipping, however, this may not be a viable option for all businesses. Offering worldwide shipping is essential if your business is product based. If your business is service-based, you can obviously ignore this step in attracting customers internationally. When it comes to broadening your horizons, you might want to do what your competitors are doing. However, it’s vital that you remain true to yourself and your business. Being authentic will help you attract customers home and abroad. It’s important to stand out from competitors, so make sure that you have a unique selling point. Having a social media presence is absolutely vital if you want to reach customers that are overseas. The internet, in general, has made it easy and straightforward to connect with peopel worldwide and social media has done that even more. Social media can allow you to make connections worldwide and help with your business being found by people internationally. The most popular social media platform is Instagram, with 800 million monthly active users. It would be detrimental if small businesses missed out on the huge pool of consumers on the various social media platforms. Languages can be a barrier, hence it’s suggested that when you first start expanding and reaching customers in the EU and US. This will mean that language will not pose as a barrier. If you are trying to target countries that speak a different language, then make sure that your website offers the information in that particular language. You also need to be conscious of how certain words and phrases may mean different things to others. For example, in the UK the knitted thick top warn in the winter is referred to as a jumper, whereas in the US it’s called a sweater. Therefore, it’s worth taking these small language differences into account. To gain any customers, the experience needs to be pleasant. You need to provide excellent customer service in order to gain international customers. Some key way of providing a good customer is being friendly, ensuring your staff are also trained to be friendly, create an experience for customers, ask for feedback and act on it and reward loyalty. Good communication with customers is key to building trust and loyalty. You site need to appear to be trustworthy as it may be difficult for international customers to trust foreign sites. Communication will help in building that trust. Make sure you have way customers can contact you and be prompt in getting back to them. More on customer service and taking your business overseas. Previous Post: The advantages and disadvantages of a limited company Next Post: Becoming self-employed – what is a partnership?